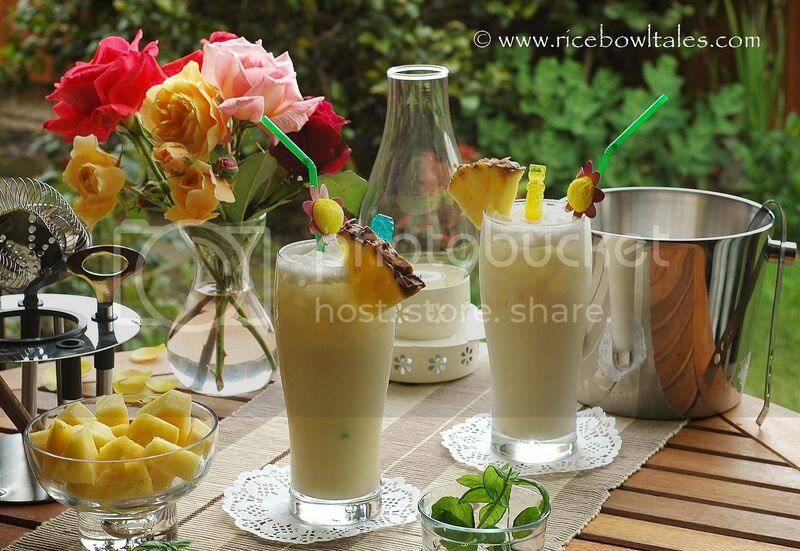 I fell in love with the tropically - flavored cocktail " Piña Colada" during a visit to Spain many years ago. The name literally translated means " strained pineapple ". 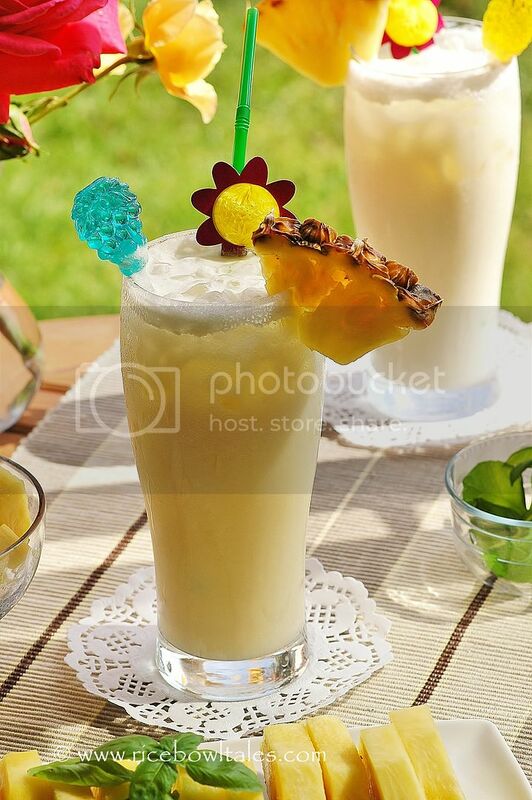 It's made with the sweetened cream of coconut, pineapple juice, cracked ice cubes plus two types of Rum. 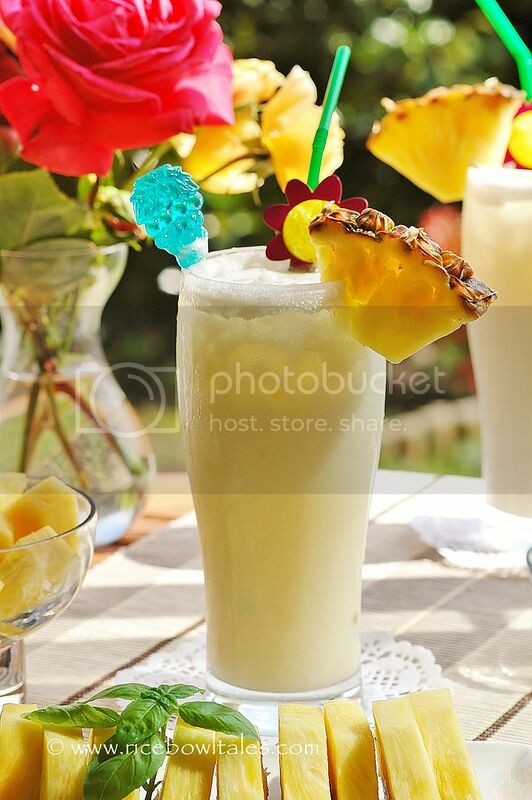 All mixed in a blender together, strained and served over some more cracked ice cubes in a tall glass; finally garnished with a pineapple wedge. A young family of 4 all those years ago, our son was only 7, our daughter was 5. I found that it was very easy to become addicted to drinks like this, with its deliciously sweet and refreshing flavour. Luckily, a very kind local bartender suggested and mixed a lighter version of the same cocktail for me to try. 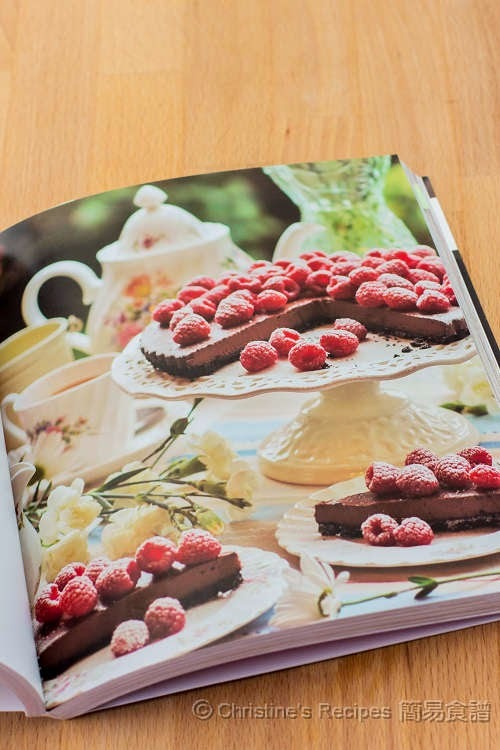 It contained no added sugar, and he used a suitable for drinking / adding to desserts coconut milk, instead of the sweetened cream of coconut; the calorie contents were reduced considerably, and I've stuck to this recipe / formula every time when I ask for a " Piña Colada " . 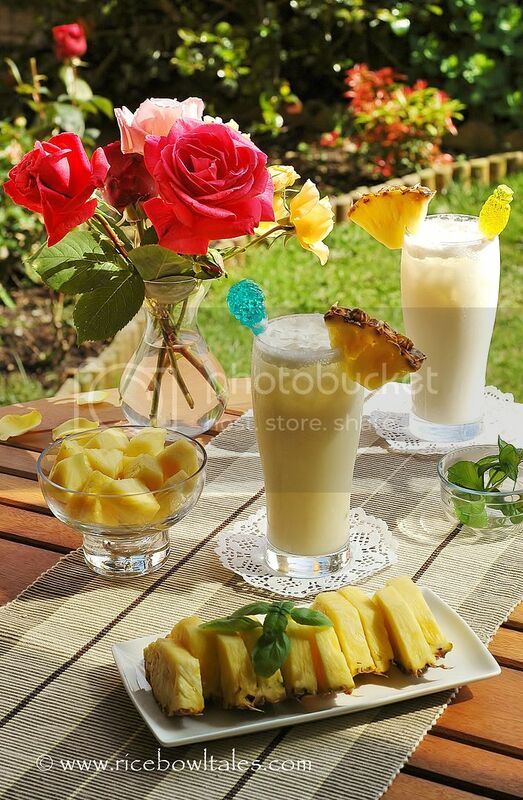 Fresh pineapple wedges to decorate ( The simplest way to open and cut pineapple chunks is shown in this post ). I bought this mini - bar tool set from John Lewis. It was only £40, quite reasonable, don't you think? 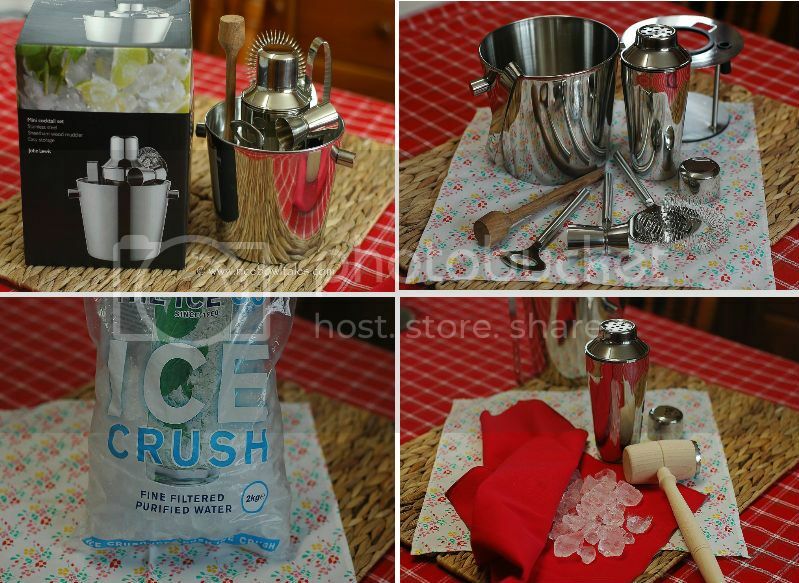 It contains ( clockwise from top right ): An ice bucket, the tool holder, a cocktail shaker, strainer, shot measure, bottle opener and a wood muddler. You can buy a whole bag of clean, ready-to-use crushed ice cubes from most supermarket retailer. Alternatively you can crush the ice yourself, using a clean napkin to wrap some homemade ice cubes up, bash the ice cubes with a meat tenderer to crack them. As above bottom left photo. Put half glass of cracked ice cube into a cocktail shaker. 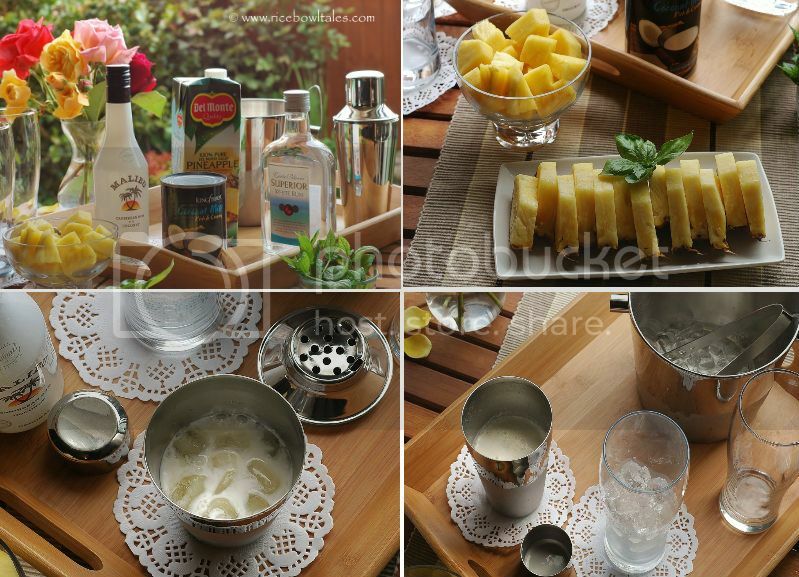 Pour 1 measure white rum, 1 measure Malibu, 4 measures pineapple juice, 2 measures coconut milk over the ice. Close the lids tight, then shake vigorously until a frost forms. Half - fill a chilled tall glass with cracked ice cubes and strain the cocktail over them. 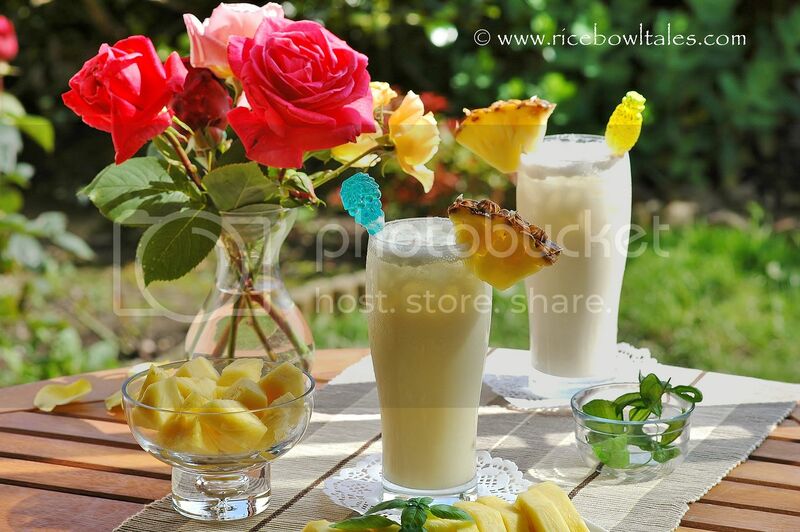 Decorate with a fresh pineapple slice and place a long straw inside the glass. 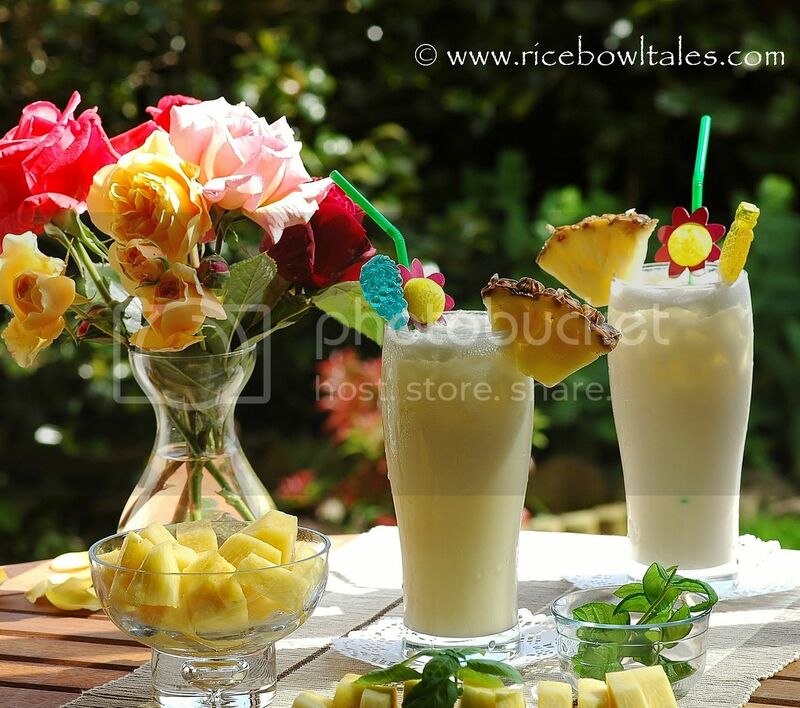 The proportion to mix rum, coconut milk and pineapple juice is up to individual preferences. But since rum is a kind of spirits it possesses alcohol by volume (alc /vol ) of 21 - 40%, so try not to over - indulge with it. One or two glasses of cocktails each time should be the limit. 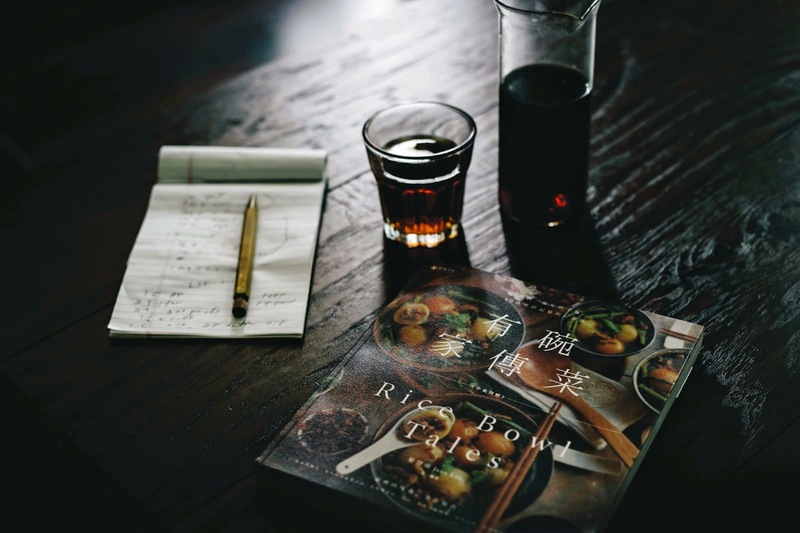 Some of my English speaking friends have occasionally asked me to translate the blog posts and the recipes, so they could read it too. Therefore I am experimenting with adding English along side the Chinese writing, I would really like to hear your opinion on this, do you think it's too distracting? Wow....好開心, 可以看到可愛的相片, 一家人去旅行真的很愉快! 那時, 兩個小朋友都很年輕咥! 轉眼間已為年青人! 還是, 忍不住要讚雞尾酒的相片, 真的拍得很精美!!! 叫人馬上很想飲一口! 謝謝呀 ~ 我已學懂開菠蘿, 已開了2個. 呵呵! 今次這文章, 有中英對照 ~ 好. 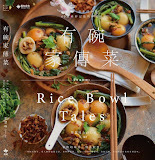 因為, 妳的blog是國際化, 方便不同國籍的人看. Thank you so much for your enthusiastic support!! 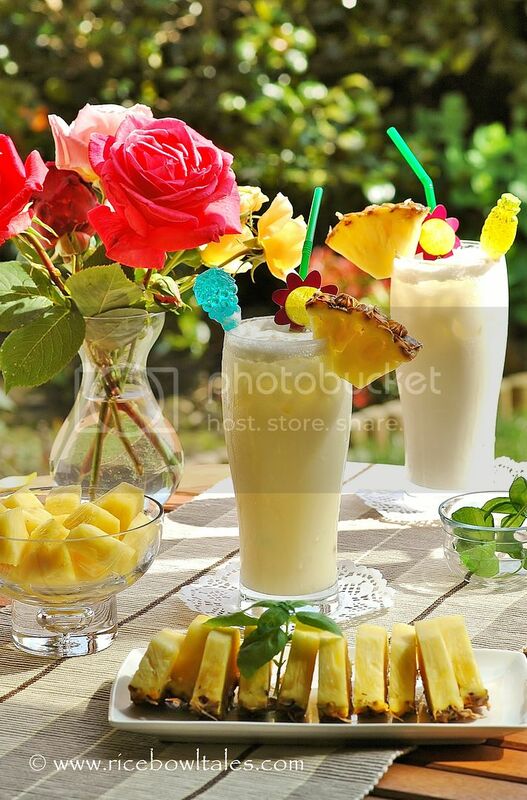 Wow, lovely photo and refreshing drink! Haha thank you so much for your support and encouragement!! 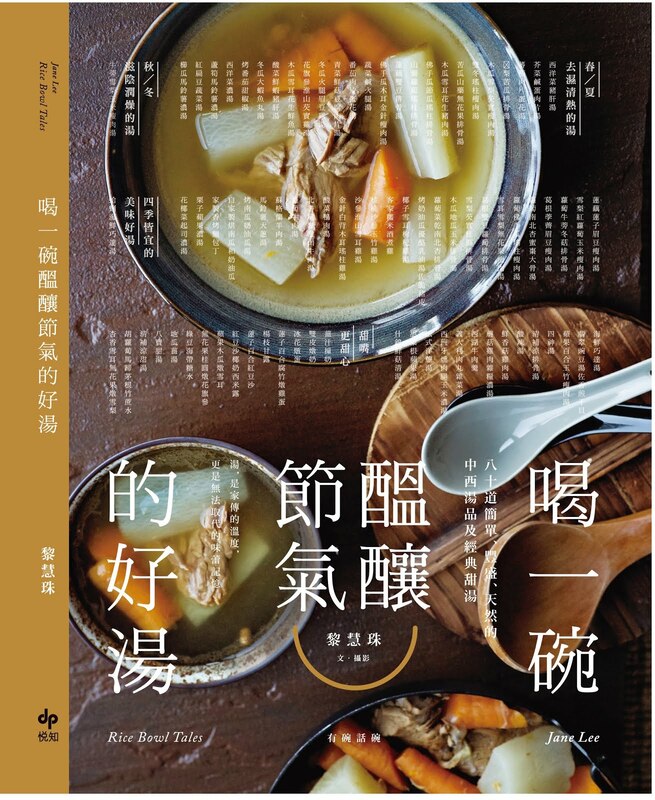 Recently, some of my English friends and even my children's friends have asked me to translate some of the recipes that they really wanted to try out. Knowing that even though they didn't understand the writing, they still read my blog sometimes with the google translate, and looked at the photos. 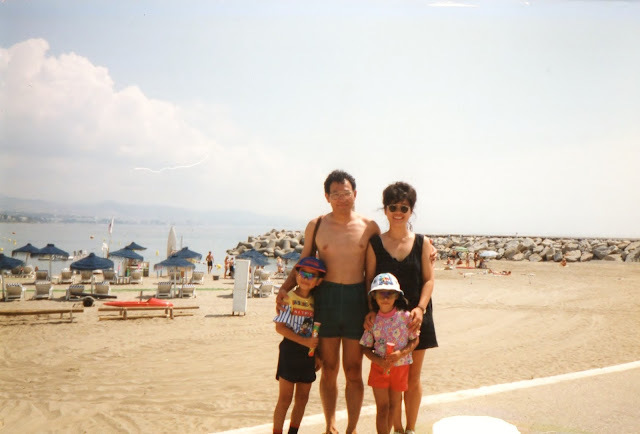 I felt really touched, so I wanted to do more for them by writing the post in English too.